These shows earned a Gold Medal and two Honorable Mentions in the 2015 and 2016 Photographic Society of America Projected Image Division photo essay competitions, a Gold Medal in both the 2017 and 2018 PSA Photojournalism photo essay competition, and six 1st place and two 2nd place finishes in the last nine annual Delaware Photographic Society photo show competitions. 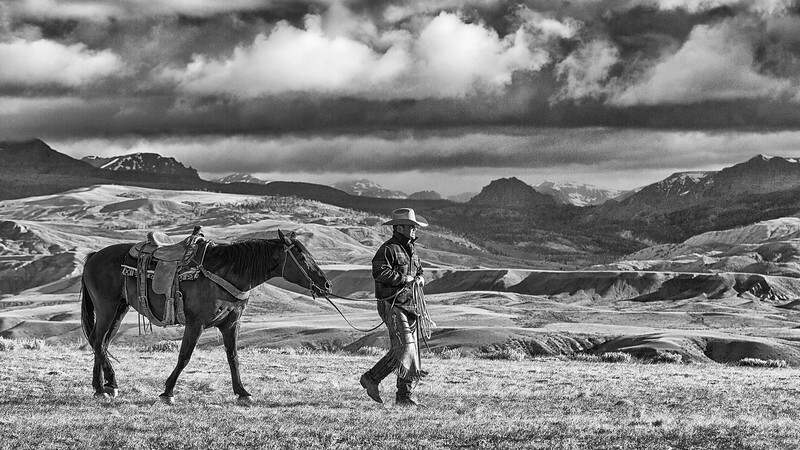 This show won the Gold Medal for monochrome photo shows in the Photographic Society of America's 2016 annual Projected Image Division's Photo Essay Competition. It also won first place in the 2017 Delaware Photographic Society's annual photo show competition. It features a song written and performed by Anna Stockdale, who worked during the summer of 2013 at the CM Ranch in Wyoming when I met her. She has since graduated from Texas A & M, married and is getting into the music business. I hope you enjoy both the photo show and Anna's lovely song, "Still Standing". You can buy Anna's "Still Standing" and a few of her other songs at http://annastockdale.bandcamp.com.